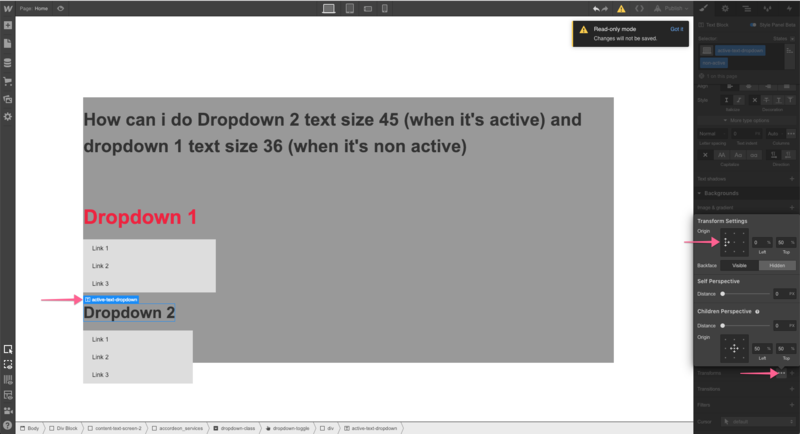 How can i do text size on active dropdown? You should also give your dropdown lists different class names, so you’ll be able to customize them differently. I’ve just changed my previous answer, hope it helps. The code should go to the custom code tab in the project settings, inside the head code part. @pzhydkykh can you tell me a little bit more about why you are changing the font size on open and close events for the dropdown? It’s possible to do, but would require some custom code.